Do you dare to play this game? …or is it a sport?? You decide! Playing FingerFlip is quite simple: tap button – flip device – tap button. Mastering FingerFlip is quite a thrill: the flip should be performed in the air, using a throw-flip-catch like movement. Hold the device parallel to the ground, facing up, when launching or catching the flip. 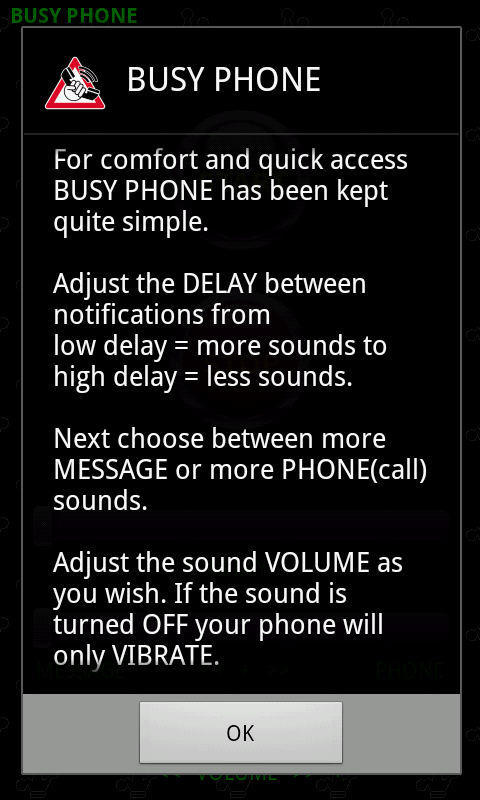 And only the round button in the center of the screen is to be touched to complete the flipping process. 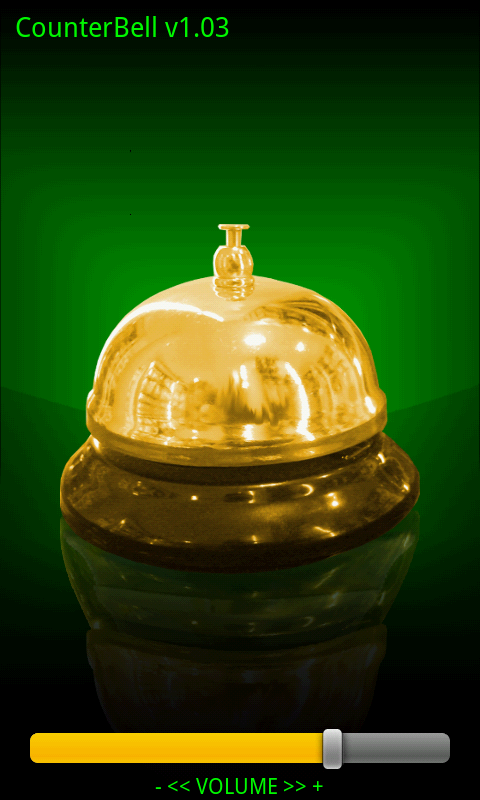 So score as many points in as less time as you can, flipping the device at least 360° in either x, y or z axis direction. Just be creative, try it one-handed. If you are right-handed, consider using your left hand or vice versa. Try a flip in less than 1 second. Watch out for upcoming FingerFlip competitions and don’t miss the world championship next year! 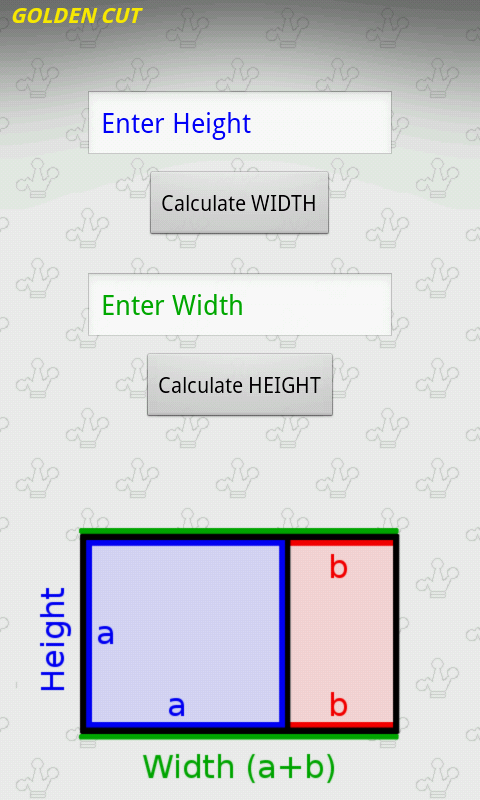 This application is a ‘golden ratio’ calculator, especially for rectangular areas, shapes or forms. 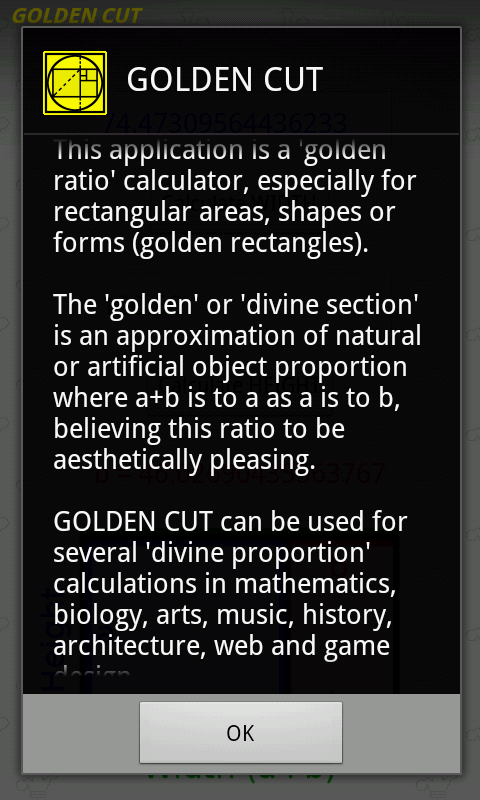 The ‘golden’ or ‘divine section’ is an approximation of natural or artificial object proportion where a+b is to a as a is to b, believing this ratio to be aesthetically pleasing.